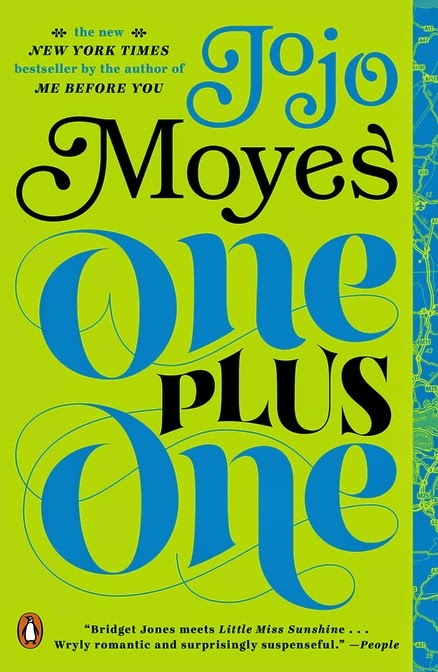 Last summer, I read a terrific book by Jojo Moyes called ONE PLUS ONE. You can read my review here. I absolutely adored this love story about a single mom who heads out with her family to Scotland and ends up meeting her "knight in shining armor." This book made me laugh and it also warmed my heart. As far as I'm concerned, it's a must-read! Thanks to the publisher, I have a copy of ONE PLUS ONE to share with one lucky reader. To enter, just fill out the form below before December 11th at 11:59 p.m. EST. I will randomly select and notify the winner the following day. This contest is open to those of you with U.S. addresses only. Good luck! Thank you for hosting this terrific giveaway! I read my first book by JoJo Moyes, Me Before You, a short while ago. I will add your giveaway to my blog's sidebar. Oh I love this book!!! I haven't read anything by JoJo Moyes before, but that's what I love about your blog - learning about authors I don't know! Thanks for the giveaways.